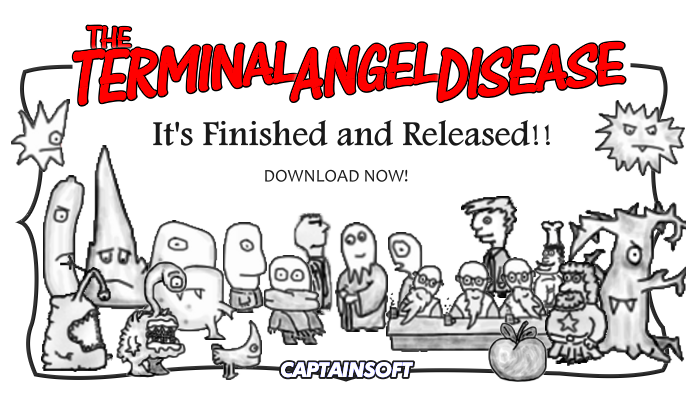 After a long time (=years) of development, my game "The Terminal Angel Disease" is approaching the release deadline! 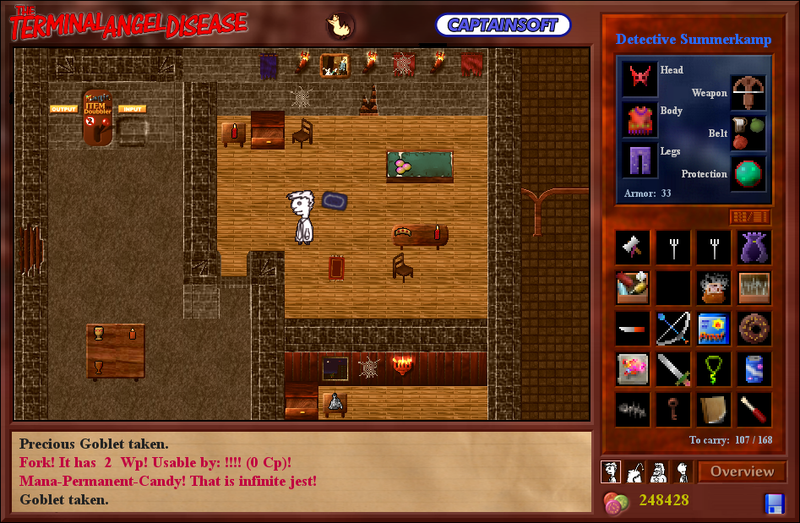 It is a typical 2D Indie RPG with elements of hack'n'slay, story-driven adventure, item looting, and a sack of self irony. I'd like the DevLogs here so I decide i will write here from time to time! Four friends - our party - live in the city "Bunga Terra Tissa Tu", formerly the scenery of a successfull computer game series, the "Deep Deep Dungeon" and its Hero "Heinz Chamberlain". But with the invention of 3D graphics, the series got sacked. The Heroes, NPCs, and Monsters became unemployed and, ehm, fat. SUDDENLY... one morning after a hot jazz night out, new packs of monsters are roaming the city! They ride desperado skateboard, kick out street lamps, and throw empty lemonade cans on the streets! It appears that the guardian angels of the city, the "SCRIPTS" have been abducted! And even more obscure: "Friday Guy", the man responsible for the start of the weekend, did not turn up at work this morning, but his office is wasted with mountains of chewing gum paper. There is only one solution: We have to go down the Deep Deep Dungeon again! It has been closed for decades, and only open if schoolchildren go there for a fields trip to learn about history. This is the beginning of an epic adventure where our lovely 2D-characters have to fight not only against baddies, cappucino hangover and stereotyped quest-proving NPCs, but also against the threat of another dimension... the THIRD DIMENSION!!! * 20 maps with each 99x99 tiles, with city, wilderness, cave, and of course dungeon settings! * 250 items: weapons, armor, magic, food and facility items. * Lots of NPCs to talk and trade with! * Fighting! Once you encounter baddies, the fight screen appears and you control each party member in real time mode. I developed this game initially starting from 1998 and released it in 2005 in Germany only. I re-wrote the game during the last years in Java as a hobby project. 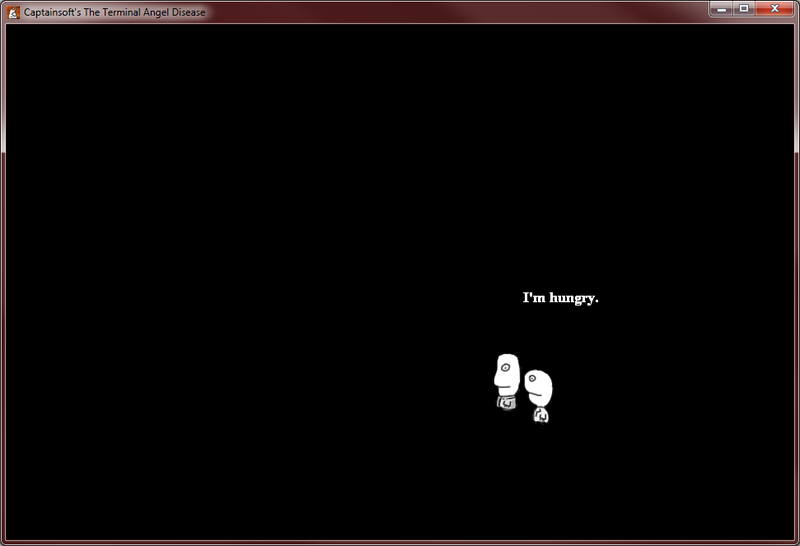 95% of the stuff is untouched: graphics (I introduced new tree graphics though), gameplay, design. It was then and now a lot of work and I decided to re-release it again! The game is inspired by mid-90 games. Today, games tend to be short and accessible, and my game is nothing like that Fights are frequent and hard - most people complain about that. But the story, characters, puzzles and ideas are still really fine I think. Now let's watch a video. This is raw, compiled footage of representive scenes of the game and shows the basic things to do: walking, fighting, looting! I love to hear comments and questions! Summer is over i am still working on this project! This looks hilarious! I have a thing for games with random funny text. But the UI is a bit of an eyesore, I'd replace that muddy mix of colours with something cleaner and get rid of the top bar that just has the title. I have a question regarding IndieDB, I assume some of you are registered there? They archived it, what means it won't show prominently on their Homepage. I replied to their mail, asking what the problem with the news is, but I got no answer. Can anybody of you tell me what could be wrong with the news - in fact, the archived the last 3 news for my game, I never got an explanation from them. Oh dear, the last post was really a long time ago... but I'm still actively working on the game... in the end you're working on fine tuning and bugs and that can hardly be shown on new screenshots every week. What happend? Why are Owsed and Nowsed still hungry at the endof the game? Find out soon! Today I'd like to present the combat system. Maybe in previous screenshots, you noticed the pink steam clouds. These indicate that there is trouble around. 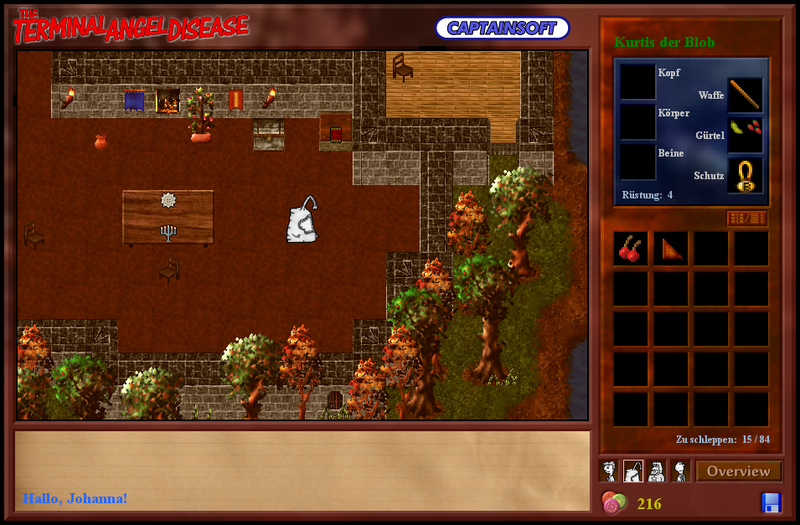 Once the party gets near them, the combat screens appears. Each of the four party members can attack the monsters, causing an "out of puff" state. The duration depends on the fitness and the type of attack. 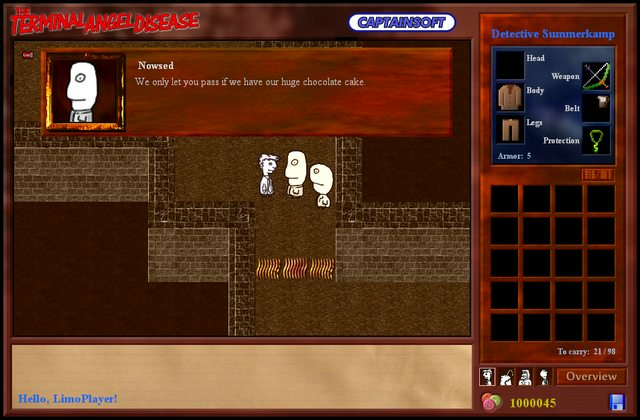 There are special attacks, for instance the Detective can try to "arrest", causing the monster to disappear immediately. You can always use items out of your "power-belt", like sweets, bombs, or magic. Tipp: if the monsters are "attacked", they can not fight back for a short time. "Looks like something out of a drug trip and 5 hours in RPG maker." Yes... I put my game into the wild of Steam Greenlight, and that was one of the comments. I guess it is not my target audience... they're all currently into playing GTA for 98 hours a week, hahaha. Anyway... I enjoyed working on it, I enjoy playing it. For fans for Ultima 7, Wizardry 7, and the Spiderweb/Exile indie RPGs it should be fun as well. Now as it is almost finished, I can return to normal life, and maybe the gym, hah. 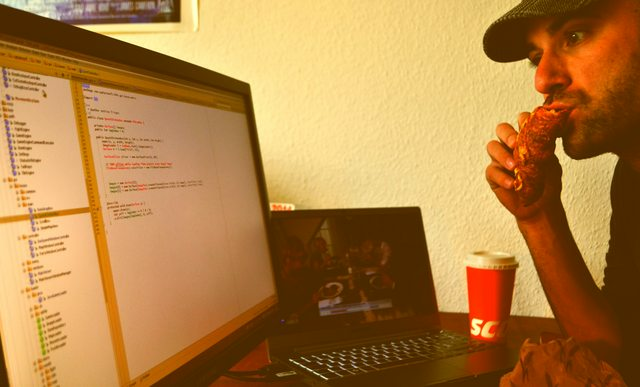 Enjoy it and never give up my fellow Indie Devs out there! Love this stuff. Keep going! Here we go... the game is finished and released! and free as in love ! Tipp: you can skip the Intro by pressing "ESC". Enjoy it as much as I enjoy making it! I'm really not sure what to think of this. You've clearly put a lot of time and work into it, but there are puzzling choices about the design and appearance that make it off-putting. You should look to other games that have successfully pulled off the hand-drawn style for inspiration- particularly Guild of Dungeoneering. Your sprites all have blurry lines and harsh, ugly edges. There is no consistency between the environment and the characters- even making the backgrounds grayscale, or giving them a pencil filter in Photoshop, would make them fit better. The user interface has the game name and the company name onscreen the entire time, and all of the fonts appear to be Times New Roman. Today, games tend to be short and accessible, and my game is nothing like that Wink Fights are frequent and hard - most people complain about that. But the story, characters, puzzles and ideas are still really fine I think. Tons of quirky, niche games thrive on Steam Greenlight. Don't write off feedback just because you don't like to hear it. You could gain some valuable advice from potential fans. I played the first few minutes, and I intend to play more and report back. I'm already fairly puzzled, though. Your intro doesn't do anything to introduce the four characters- what is King Ole Ozelot a king of? Why is he friends with a blob and a detective? Why is health measured in Fun Points? Why do I have stats labeled "Bump Roll" and "Beating"? Being original and quirky can be a good thing, but too much can alienate your audience. You might actually have a fun game here with some polish and revisions, but I haven't made it far enough to be sure. I plan on playing farther, taking some screens, and posting more feedback here. I hope you find this helpful- I don't want to be rude, and I wish you the best on this. I just think you need some real constructive criticism to get this into shape.